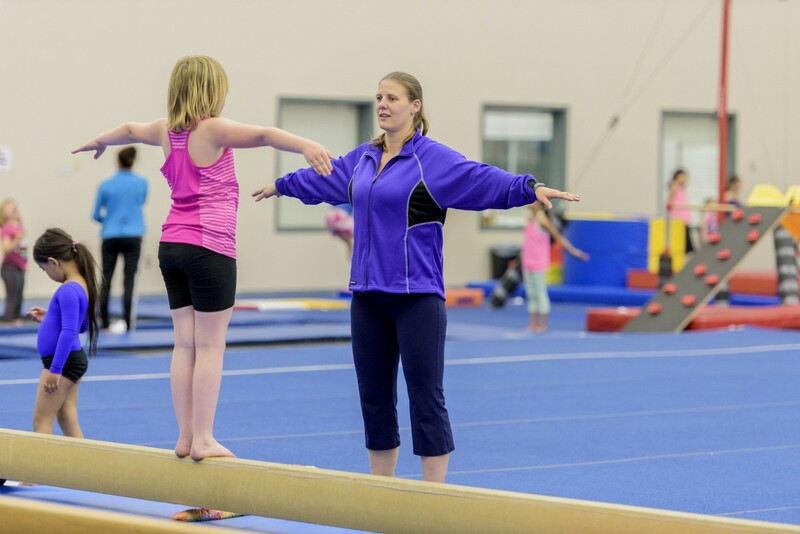 The program is designed as a progressive gymnastics program, with a pass/fail associated with each level. Each level incorporates different progressions that must be mastered before moving on to the next, more difficult, level of gymnastics. Report cards will be handed out the last week of classes, at which time it will be indicated if your child has to repeat the level, or move on to the next. For each class, parents can expect a 10-minute warm up & stretch activity (for 1 hour classes), a 10-minute game and 10-minute stretching activity (for 1.5 hour classes), and then groups will separate into ages and/or levels depending on the number of athletes in each class time. Each group will use different pieces of equipment as per the coach’s daily lesson plan, and groups will incorporate free-play in the foam pit into their class time. A cool-down activity is done the last 5-10 minutes of class. Please keep in mind that many of the more difficult levels can take several sessions to complete. 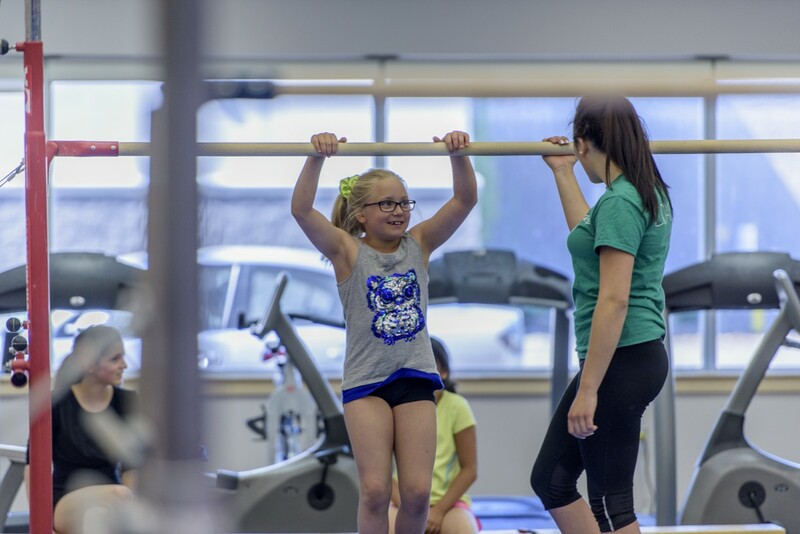 Introduces children to fitness and the fundamentals of gymnastics with emphasis on building not only strength and flexibility but also developing skills, form, technique and confidence. The program incorporates vault, bars, beam, floor, and trampolines. Participants must have successfully completed badges 1-4 before moving on to badges 5 & 6. Athletes must have successfully completed badges 1-6 before moving onto badges 7+. 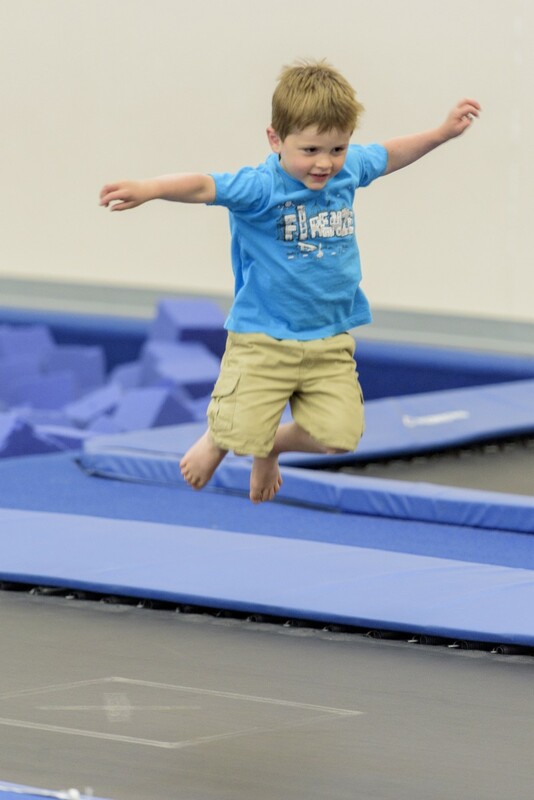 This fun and dynamic program consists of foundational Trampoline and Tumbling skills. Participants are engaged through skills that are introduced and built upon as participants skill level increases. The program has been designed to incorporate strength, flexibility, and motor development. Parents can expect a 10-minute warm up activity including stretching. After warm-up groups will work on various skills on the trampolines, tumbling run, fast track, and double-mini trampoline. A cool-down activity is done the last 5 minutes of class. 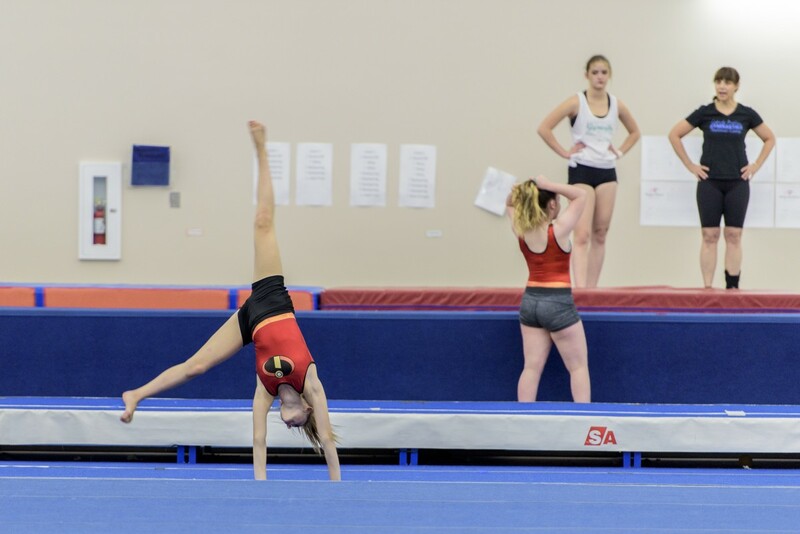 Continuing to build on the Canjump program, intermediate gymnastics skills are perfected and Advanced skills are introduced in this fun and challenging class. 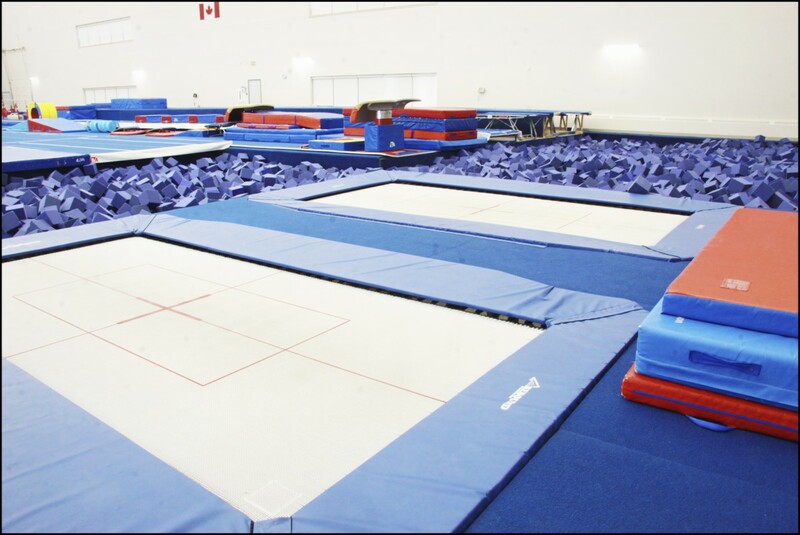 Athletes will begin to learn aerial movements on the floor and trampolines. 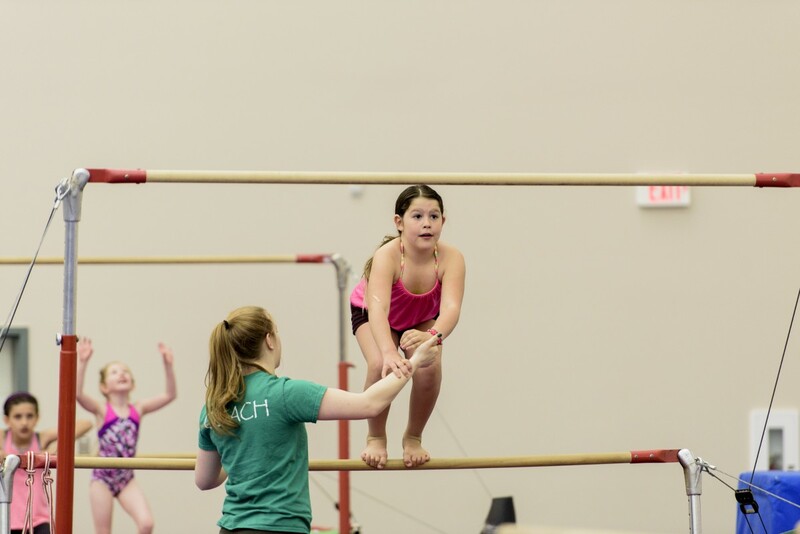 Following the Cangym program fundamentals, these classes incorporate all gymnastics equipment. There is emphasis on skill development as well as confidence. There is no pass/fail associated with this program. No previous experience is required to join this group, we have a variety of skills levels that participate.